Nickel colored primers and older style boxes just mean that they are not of current manufacture. If they were stored properly, you'll be fine. 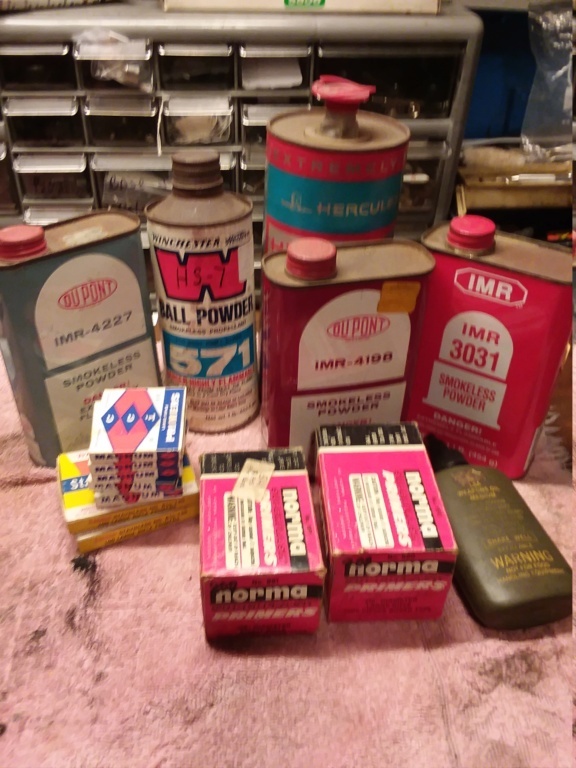 If the primers were brass colored and the boxes were blue but they were not stored correctly, you would never know it. +1 if there is no apparent moisture damage to the packaging you should be good to go. In the photo the the packaging looks pretty crisp - that's a good thing. dronning wrote: +1 if there is no apparent moisture damage to the packaging you should be good to go. Everything looks as if it was made yesterday. I've bought the blue boxes from the gun store that didn't look this good. They should be fine. I picked up 5K of their small pistol primers in that packaging, at the local gun show last year and they all went bang. I haven’t seen Norma Primers in decades. Rumor has it that they were repackaged RWS? Brought 20k back with me from Germany in 74. This is all I have left. They all went bang. Remember the old 25 lb kegs of H4831, well I have the keg still, powder has been gone for 30 years. You got a good deal!! I've used these primers in thousands of 45ACP, 50 AE and 10mm rounds without any issues. I venture to state that they are better then current Winchester production. Those are dangerous and you should send them to a professional for proper disposal. Fortunately for you, I happen to have multiple decades of experience in this field; I can take care of them for you. I will PM you an address and shipping instructions. No need to thank me; I do this work out of the goodness of my heart. john bickar wrote: Those are dangerous and you should send them to a professional for proper disposal. I believe that lot number is for the late 90's. I just finished the last 1,500 I had the same time period as yours and they were fine. Yours appear to have been store well. I don't think you'll experience any issues. I have thousands that worked only once.